For decades, Sacramento area freeway commuters have been treated to a carousel of contrasting landscapes as they cross a vast floodplain known as the Yolo Bypass. The carousel rotates by the season. In wet winters, the rain-swollen Sacramento River spills into the bypass, which is designed as a relief valve in the region’s flood control system. In heavy storms, the 57,000-acre bypass becomes a river. Come spring, after floodwaters recede and the ground dries, causeway commuters get an acrobatic airshow of low-flying planes that sow rice fields, which repaint the bypass a brilliant green. Harvesters shave the crop down to blonde stubble in the fall. Farmers then flood their fields to decompose the rice straw, creating habitat for migratory birds and hunting grounds for duck clubs. The bypass trio of farms, floods and fowl has harmonized successfully for more than 70 years, with management for ducks increasing in recent decades. Now, researchers are examining the possibilities of forming a quartet. Recent studies indicate the bypass would make a fabulous salmon nursery at relatively little cost to Yolo County’s farming. Levees in California’s Central Valley have all but eliminated the seasonal wetlands that served as food-rich rearing grounds for young salmon. To help struggling fish populations, water and wildlife managers are looking for ways to recreate the historical floodplain conditions. The UC Davis Center for Watershed Sciences has been studying the question in collaboration with private landowners, environmental groups and government agencies. Experiments at the Knaggs Ranch rice farm in the bypass show juvenile Chinook salmon growing at phenomenal rates, requiring flooding for less than two months in winter and early spring. “These fish have grown so fast that we’re calling them our ‘floodplain fatties,’ ” said Carson Jeffres, an aquatic biologist with the Center. Test fish in the field fattened faster and had better survival rates than those left to mature in the Sacramento River. Indeed, preliminary results indicate that young salmon grow better in rice fields than in unfarmed floodplains, such as the one connected to the nearby Cosumnes River. When rice growers flood their fields they unwittingly generate lots of fish food, namely zooplankton. Seasonal flooding of farmland does reduce the crop-growing season. But if it increases salmon growth and populations, farmers in the bypass can be compensated – just as they are now for flood control easements, which also lower rents. A recent report found that the costs of sharing the bypass with fish would be relatively small. 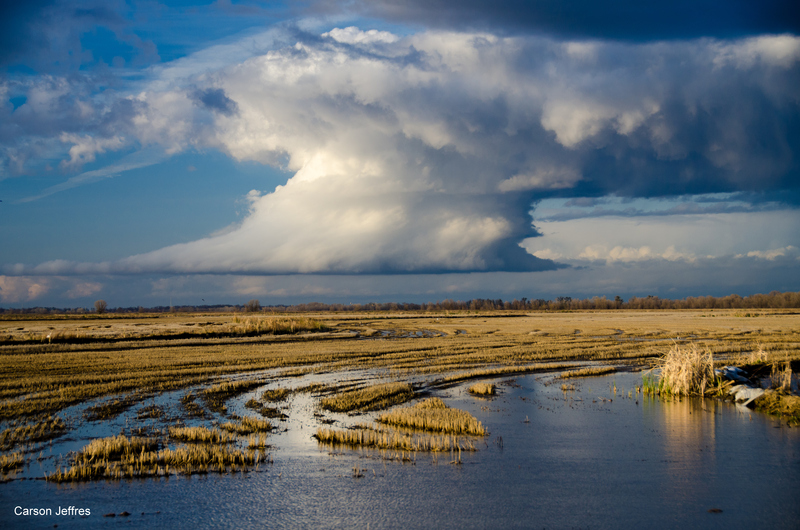 The UC Davis study, commissioned by Yolo County, found a “sweet spot” for flooding that gives fish enough growth time without significantly cutting into crop yields and farm profitability. Fields would be drained by late March, causing a yearly loss of roughly $1.5 million or less than 1 percent of the total value added for Yolo County’s economy ($212 million in 2009). Bypass inundations extending further into spring become too warm for salmon and most other native fish. This flooding scenario is consistent with one state officials are seriously considering, and presumably would pay for, as part of its Bay Delta Conservation Plan. It calls for flooding no more than 6,000 cubic feet per second for 30 to 45 days in the winter. The bypass would be inundated for fish only in years when flooding in the river plain occurs naturally – which, historically, is about half of the time. 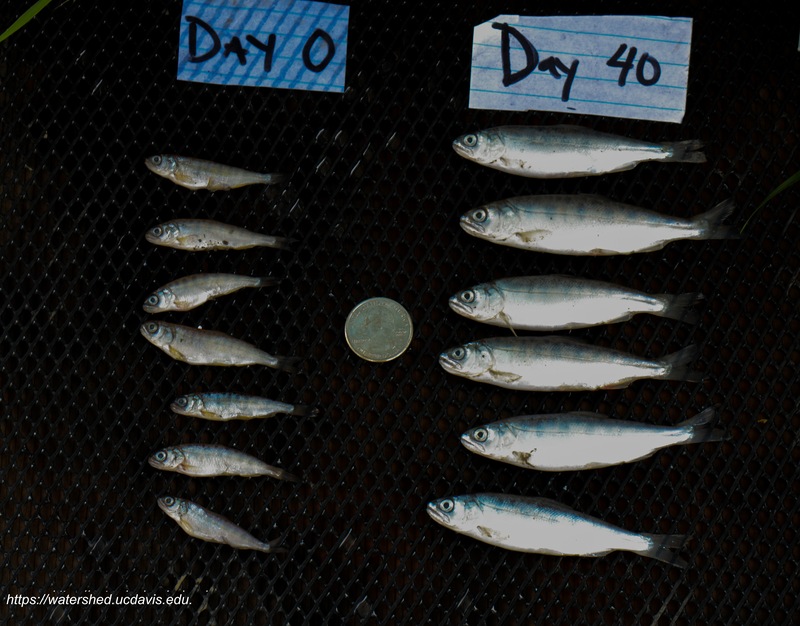 Results of the cost analysis and the ongoing salmon-rearing experiment suggest that farmers in the Yolo Bypass can look forward to profitably farming for fish, as well as for flood control, ducks and crops. Richard Howitt is a professor emeritus of agricultural and resource economics with the UC Davis Center for Watershed Sciences. Josué Medellín-Azuara is a Center researcher who specializes in economic modeling of water systems. Howitt, R., MacEwan, D., Garnache, C., Medellin-Azuara, J., Marchand, P., Brown, D., Six, J., Lee, J., 2013. Agricultural and Economic Impacts of Yolo Bypass Fish Habitat Proposals. Yolo County. 58p. Katz, Jacob, 2012. Knaggs Ranch Experimental Agricultural Floodplain Pilot Study 2011-2012: Year One Review. University of California, Davis. 14p. Upton, John. March 1, 2012. 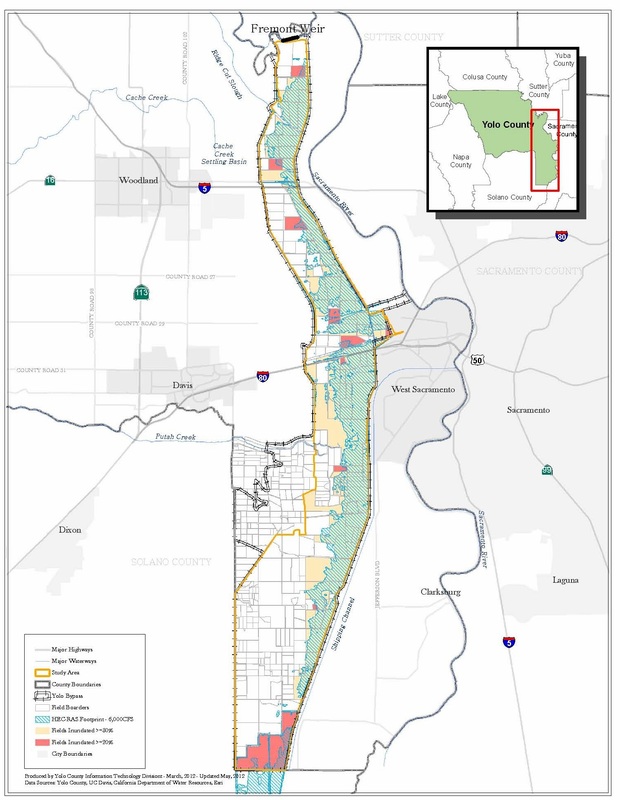 A Bold Plan to Reshape the Central Valley Flood Plain. The New York Times. This entry was posted in Uncategorized and tagged agriculture, floodplain, floods, Josué Medellín-Azuara, Richard Howitt. Bookmark the permalink.